Whether you fancy a slice of vibrant beach culture or yearn for the dreamy solitude of your own remote stretch of white sand, Koh Samui has it all. From the buzzing Chaweng beach on the east coast, with its shops, restaurants, beach bars and lively atmosphere – to the luxurious and exclusive, Taling Ngam and Lipa Noi along the western coast, you are spoilt for choice. Experience first-hand one of the world’s most beautiful tropical retreats. Savour Koh Samui’s palm-fringed pristine beaches, its breath-taking sea views, the year-round sunshine and its unrivalled friendly welcome. Relax, unwind and rediscover the simple pleasures in life. 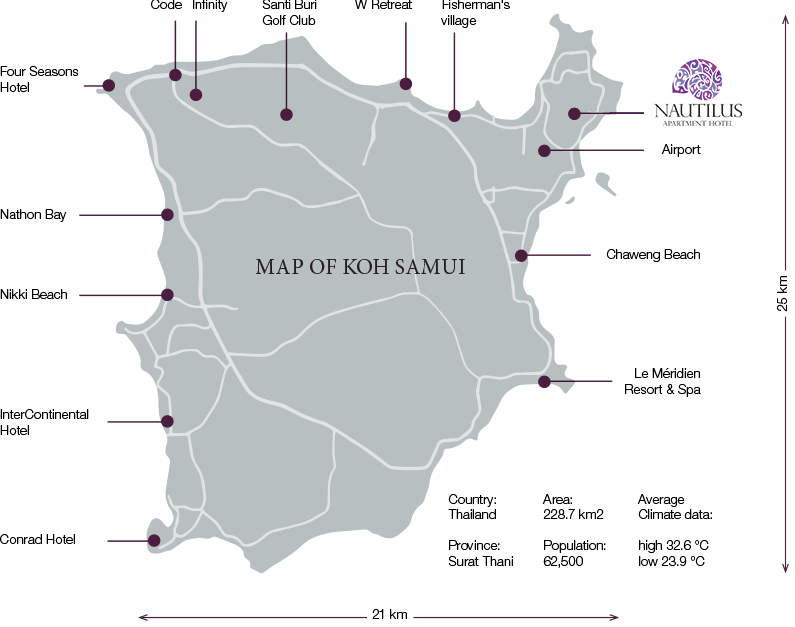 Koh Samui was recently voted by Conde Nast readers as one of the top 10 island destinations in the world. It has also just won the Trip Advisor Travelers’ Choice 2010 award for the Most Romantic Island Destination. This premier holiday destination is attracting top brands and its reputation continues to grow with the arrival of world-class luxury resorts and leisure services. The airport has daily flights to Bangkok, Singapore and Kuala Lumpur and the island’s ring road makes it easy to get around.